I saw him in 2010, and liked him better in person than his pictures. You that have met Renzo in reality: Is he as well built as he looks on the picture? 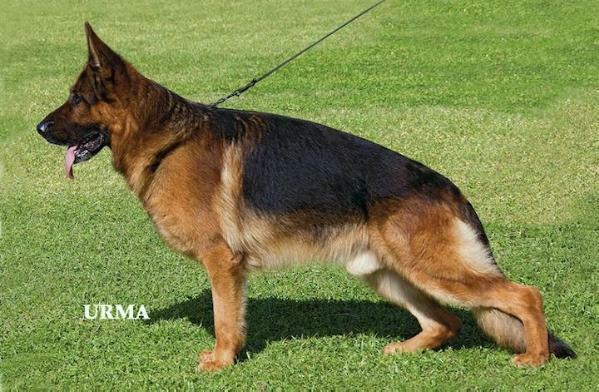 butiful male with a werry good pedigree,,,, best of luck fore the future with him herman. thank werry much fore all help. sencerly ånje og gerd in denmark. Another fabulous male from the Holtkamper kennels coming through from their famous R - Litter!! The best male from ULM !!! Very nice, well pigmented young male. I wish the owners all the best for the future! My favourite NEGUS son !!! I will come to the projection as soon as possible !